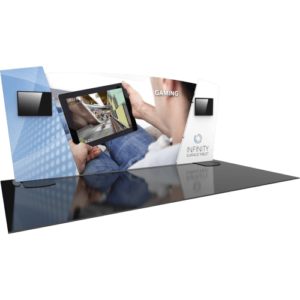 Formulate® Designer Series 20ft Backwall Kit 06 combines multimedia with ample real estate for a prominent message. 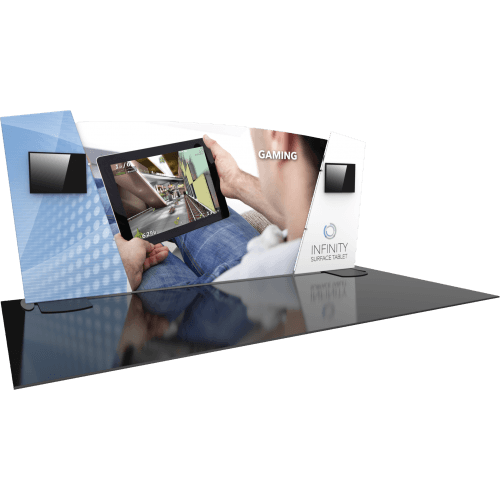 Kit 06 includes three aluminum tube frames with snap-buttons/spigot connectors, three zipper pillowcase fabric graphics and two monitor kiosks that support medium monitors for multimedia presentations. Assembly is simple – connect the tubes, place the monitor mount kiosks, pull the graphics over the frames and zip.